December is finally here! I have been waiting for this month to come since October to be honest because I’m going on a trip to Dublin this week! However, my favourite thing about December is Christmas, obviously. For this reason, during this month I’ll be posting a lot of Christmas-related posts that I’ve been planning recently. I hope you are as excited about it as I am, because I cannot wait. 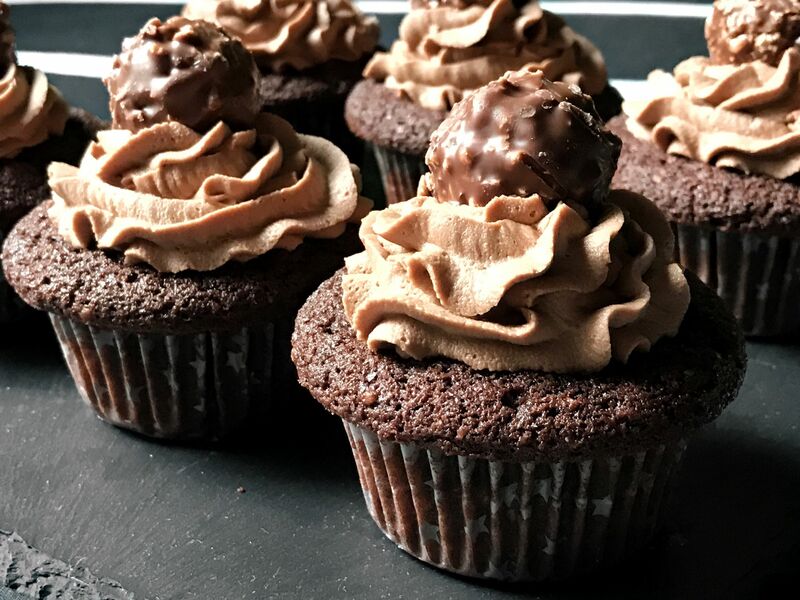 Even though today’s post is not the most Christmassy post I could write, I had to share with you this Ferrero Rocher cupcakes recipe. I know you can buy Ferrero Rochers whenever you want, but I normally eat them during this time of the year. They remind me of those family dinners in which you have some of them (and other kind of chocolates) while drinking some coffee or tea. 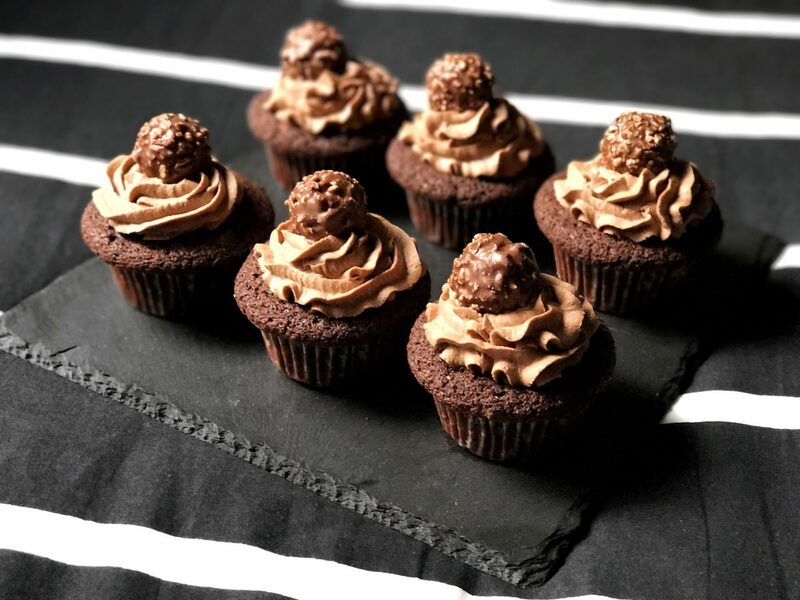 I had seen these cupcakes on Pinterest, but the recipes were quite difficult because they had a lot of different ingredients. Because of this, I decided to mix some recipes I already knew and sort of create this one. Pre-heat the oven to 180 degrees Celsius. Put some cupcake cases into a cupcake tin. In a bowl, mix your butter and sugar until it has a smooth consistency. As always, the butter should be at room temperature so that it can be mixed easily. It’s time to add the eggs and beat it all together. Once it is ready, you need to add all your dry ingredients, which are the cocoa powder, flour and baking powder, and mix everything together until it’s all well-combined. Spoon some of the mixture into the cupcake cases, pop a Ferrero Rocher and then fill the cupcake case to almost the top, covering the Ferrero Rocher as much as possible. Finally, put them into the oven for 14-17 minutes or until your skewer comes out clean. For the frosting, you need to mix together your butter and icing sugar. Beat your butter for a while until it’s light and pale before you start adding your icing sugar. This way, the buttercream will be much lighter. Again, the butter must be at room temperature, otherwise, it will be too hard to mix. I recommend you adding your icing sugar a bit at a time, as it will be easier to mix and also it won’t go everywhere. Then, add two tablespoons of Nutella and beat it all until well-combined. If the buttercream is too thick, add a teaspoon of milk (or a bit more if you really need it). In my case, I had to maybe because it was quite cold and the butter wasn’t as soft as it should be. 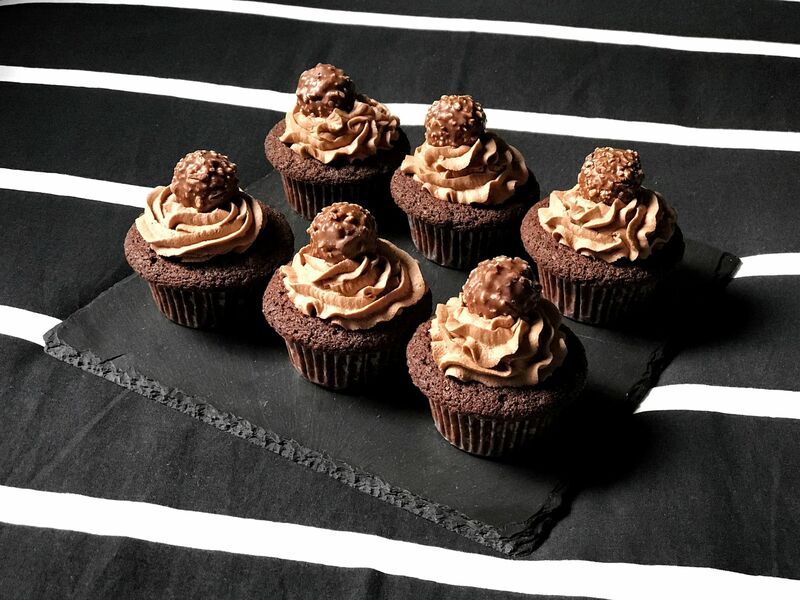 Once you got it, pipe the buttercream on top of your cupcakes using your favourite nozzle. To finish, add another Ferrero Rocher on top just to decorate it. 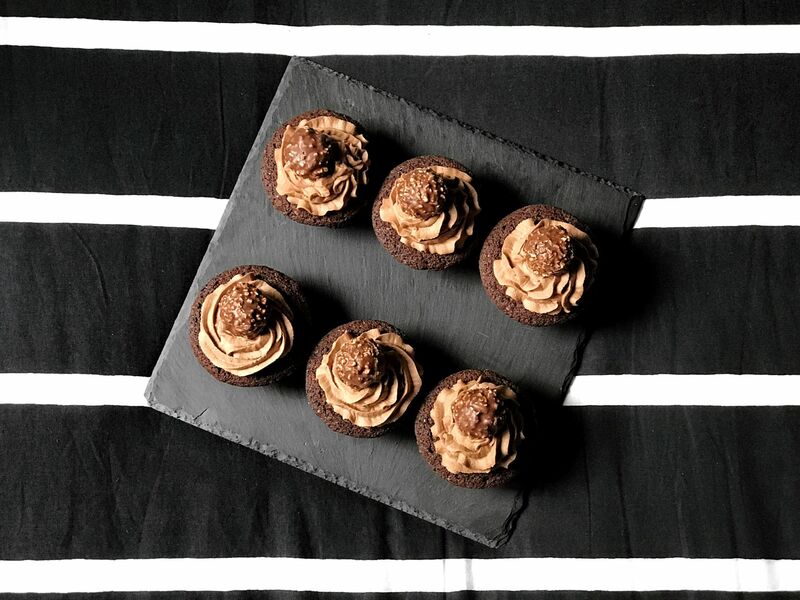 You need to try this recipe, they are probably one of my favourite cupcakes ever. Probably, the reason for this is the buttercream, as I really love it, even though I hadn’t tried it before. Let me know if you make them, I’d love to see the results. You can tag me or use the hashtag #zoelhernandez, which I’m starting to use these days. Also, tell me if there is any Christmas-related post you’d like me to write! Holy moly these look delicious! x I am so trying this recipe out ! ugh OMG this looks beyond amazing! 1. these look super delicious and im sure they are (you can never wrong with chocolate can you?) 2. Kudos on taking the plunge and mixing different recipes.